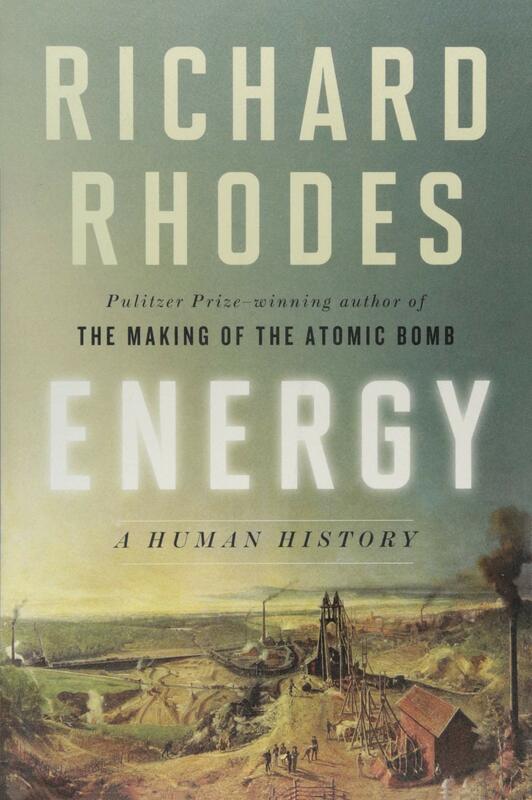 Richard Rhodes discusses how the development of energy sources has been crucial to the advancement of society. The flip of a light switch or the turn of an engine are things that most people take for granted because they are reliable. From the burning of wood and coal to nuclear power, the development of energy sources has been crucial to the advancement of society. But like all major steps forward, each comes with a negative aspect. Richard Rhodes takes a long look at this topic in his book, Energy: A Human History. Rhodes, a Pulitzer Prize and National Book Award winner, joined the Knowledge@Wharton radio show, which airs on Sirius XM, to talk about the complicated relationship between humans and energy. (Listen to the full podcast above). Knowledge@Wharton: Everywhere you turn you see something that has been affected by energy in one form or another. Richard Rhodes: Our entire society has developed over the centuries because of access to energy. There’s a graph I sometimes use when I’m speaking to audiences that shows energy electricity usage per capita in relation to life span. You can follow the development of societies that have more energy because people in those societies live longer, until about 70 years, and then it levels off. Societies that use more energy than the 70-year mark typically are places like Norway, which are cold in the winter, so they need it. Knowledge@Wharton: You mentioned that some of these transitions over time occurred mainly due to a lack of resources. Rhodes: One of the points of going through the history of the development of energy is that it’s not just the energy source itself that has to be developed. It would be lovely if we could just wave our hands and say, “Let’s have solar power and let’s have wind.” But you have to build a huge infrastructure to go with these sources in order to make them available. I think that is what divides countries that have not developed enough energy to stabilize and enrich their cultures and societies, compared to those that have. It’s the building of pipelines. It’s the drilling of wells. It’s the development of generating systems and the supply of energy to power those systems. Those are the things that have to be put in place before you can actually draw on that raw energy, wherever you find it. Knowledge@Wharton: From a historical perspective, some of the greatest achievements that we have are tied directly to forms of energy. Rhodes: Absolutely. Benjamin Franklin used bottled static electricity. That was the only kind of stored energy that was available to him in the years before the development of the electric battery. But then you look at someone in London like Humphry Davy, with a basement full of batteries in order to power a little electric arc light that he was showing to an audience on the floor above. It’s just remarkable how many fundamental discoveries were necessary. Franklin is the one who coined the term battery. As he thought about what this would be, he was drawing on an image that was common in the military of lining up a bunch of cannons to batter a target. But he was talking about lining up light in jars, as the battery as we know it hadn’t come along yet. Knowledge@Wharton: Coal has been a constant for many centuries. You read the stories about how coal was so prevalent and how it changed cities, but also how it damaged cities. But without coal, maybe we wouldn’t have some of the developments that we’ve seen over the last couple of centuries. Rhodes: Coal was the first so-called punctiform energy source. That is to say, it wasn’t distributed across the land, but you’d drill a hole in the ground and dig down, and there you might find coal. It was locatable, therefore, you could dig it out of the ground, put it ultimately on trains and move it to cities. It was much more concentrated energy even than wood, which people had been burning before. But it had the terrible drawback of intense air pollution, smoke, and sulfur — and all sorts of heavy metals that are not good to breathe. By 1660 in England, after they had cut their wood down so far away from London that it cost more to ship the wood than the wood was worth, they had to switch to coal. But they had to backfit all their houses with chimneys, which they had not had before. They let the wood smoke just drift through the house and out the window. They liked the smell, even though it was toxic but not as toxic as bituminous coal smoke. By 1660, London was so smogged over, that you could see the smog cloud over the city from 50 miles away. John Evelyn, who was an amateur scientist, wrote the first book that the Royal Society of London ever published about how to clean up and sweeten the air in the city, hoping that the king would endorse this project. It was remarkably like the way we deal with industrial pollution in cities today. Move the factories to the suburbs. Build a green belt of trees around the city. Choose trees that are flowering trees, so they smell good. It was a remarkably modern solution, but the king was so busy selling monopolies to restore his riches after the revolution that had just preceded his being enthroned, that he wasn’t interested. Knowledge@Wharton: Does it surprise you that we still have to rely on coal? Rhodes: No, because it’s such an inexpensive source, relatively speaking, and it’s so useful for so many functions. The two really important functions for coal these days are iron production and the generation of electricity. We’re turning away from that rapidly, particularly the electricity part. But so many people still have investments of one kind or another in coal that it’s a very difficult job to convince our Congress and the owners of the coal themselves that they should back off, that it’s not going to be good for our environment to be continually burning coal. Natural gas has changed all that a lot, and now I guess coal is beginning to decline. But it has been a problem and continues to be a problem. The only solution has been to help deal with the coal smoke by scrubbing and generally filtering the coal smoke before it leaves the chimney. Knowledge@Wharton: You mentioned 1660s England. There are a couple of interesting stories about that. The first one is about William Shakespeare. His theater moved across a river because it was cheaper for them, correct? Rhodes: Yes, the first theater in London was called The Theatre, and Shakespeare and his pals, the Burbage brothers, owned it. But they didn’t own the land. The guy who owned the land called in the lease one time in 1699 and said, “If you want to leave the building, I’ll turn it into apartments.” They said, “No, we’ll take it with us.” That was partly because they wanted to build a larger theater, which became the famous Globe. It was a lot cheaper to use the wood that had already been cut and trimmed and shaped into a theater. All they had to do was enlarge it, so they took the thing down in a couple of days and shipped it across the Thames and built the famous Globe. Knowledge@Wharton: The other story involves the time around the Revolutionary War, where a lot of the wood that was being used for the masts of British warships was coming out of New England. Then you had the Revolutionary War, which dissolved this relationship and put the British navy in a bit of a crimp for a while. Rhodes: Again, we don’t think of trees as being part of a national security apparatus, but these huge mast trees in England that were grown deliberately to have one single trunk of wood for the main masts of the British Navy, which the British called their “wooden wall” that protected them from France and Spain and other countries in Europe. It took about 120 to 150 years to grow one of these trees. When they cut down all their mast trees, they turned to New England, which was still very much a primal wilderness in 1600, 1640, 1700, to take the big, beautiful pines of New England to replace the mast trees they no longer had. But when the revolution came along, that source was no longer available. They had to turn to the Scandinavian countries for their trees. Just as we don’t like to think that our sources of supply for our military material are coming from other countries — because that’s not as secure as if we produced them ourselves — they had the same dilemma. The great age of wind power, which was the 18th century, with sailing ships with cannons all along their decks, was a time of crisis for the British for that reason. Knowledge@Wharton: You bring up in the book that, back here in the United States, Henry Ford and Thomas Edison were linked. Ford worked for Edison for a period of time. I didn’t know that. Rhodes: That was a surprise to me, too. Ford worked for Edison in one of his light factories, where steam engines generated electricity for lighting. He was the night manager for a year or two, then he became the general manager. He moved from that to tinkering with the first Ford car, which was a lovely little buggy with a small gasoline engine behind and under the seat. It had no brakes. You didn’t need brakes. All you had to do was shut down the engine, and the car would roll to a halt. But it only weighed about 500 pounds. It was quite a nice little machine. It didn’t have a roof, of course. So really, Ford learned some of his organizational skills from Edison. Edison really had quite an enterprise going. Knowledge@Wharton: The auto industry is an integral part of the history of energy use, correct? Rhodes: Most people don’t realize that when drillable oil was discovered in Pennsylvania in 1859, the purpose of looking for it and using it was for lighting, not for automobiles. The automobile didn’t come along for another 40 years. Gasoline, one of the products of distillation of petroleum, was a waste product. They didn’t have any use for it. You couldn’t put it in a lamp. It was too volatile, so they would dump it on the ground and let it evaporate into the air at the refinery, or dump it into the nearest river, as the slaughterhouses did with their waste. Rivers were really polluted at that time for that reason. It was not until the development of the automobile that gasoline suddenly had a function. Even then, there was a real struggle back and forth between four different technologies: gasoline; the steam-powered car, the “Stanley Steamer;” the car powered by electricity with the batteries of the day, which women particularly liked, because you didn’t have to crank it; and grain alcohol, which was still being produced. The first Ford Model T had a switch next to the steering wheel that allowed you to switch the carburetor from alcohol to gasoline and back. So, it was all up for grabs until gasoline won the day. By 1915, almost all automobiles in production were gasoline powered. Knowledge@Wharton: That issue of waste is still a concern today. Rhodes: Oh, absolutely. Not only the waste from refineries, but also simply the pollution coming out of the cars themselves. One of the really tragic stories that I tell is the problem of getting to a higher compression engine in the second half of the second decade of the 20th century. One way would have been to mix alcohol with gasoline and increase the octane of the gasoline that way. But for reasons that had more to do with the competition between General Motors and Ford than with any technical problem, the solution that General Motors found was to put lead in gasoline — a particular kind of lead. That meant that hundreds and hundreds of tons of lead in the form of car exhaust got spread out across our cities and presumably contributed to the damage to the brains of children. We didn’t change into catalytic converters in our automobiles in the 1970s to get rid of the lead that was polluting the air. We changed gasoline to nonleaded gasoline in the 1970s because the lead fouled the catalytic converter that was getting rid of the smog. So, it was not really something that was ever actually solved, except fortuitously. That’s the kind of blow-back, if you will, that every new energy source has. No energy source is without its problems. Knowledge@Wharton: Now we have wind and solar, which are trying to make an impact for the positive as alternative sources. But they are still battling with some of the traditional sources. Do you think that we are going to see those types of energies become the norm, whether here in the United States or other parts of the world? Rhodes: The fundamental problem of energy transitions is how very long they take. That’s the point of my book. It typically takes about 100 years to move from an energy source being 1% of the world total to 50% of the world total, assuming it makes it that far. That means that new sources that have not even reached 1% — like wind and solar — aren’t really going to make much of an impact over the next 50 years. And we’re going to have to rely much more than I think Americans have been comfortable with on those sources, certainly where they make sense. They do make sense in places where there’s lots of wind, places where there’s lots of sunlight, but they have their drawbacks in terms of what’s called intermittency. They’re not always on. The wind doesn’t always blow. The sun goes down. Then you have to find some other way to power things until these sources come back up. The intermittency itself is a problem because electricity is instantaneous. It’s produced, and it’s immediately at the wall socket. If something stops and starts all the time, you have to have some way to back that up. Today, we’re using natural gas. Nuclear power, which is a good, fundamental baseload source of energy, can’t really be ramped up and down that fast, the way reactors work. The problem today is we have to de-carbonize our energy supply, and that means we have to use everything that we can find. We have to use hydropower where that’s available, solar where it makes sense, nuclear as a baseload source much more extensively than I think it is today. Asia has discovered that that’s the partial answer to their problems. There are 125 new reactors under development or construction in China today….. The fundamental problem isn’t only how long it takes to transition, it’s also that we’re trying to do two things at once with most of the world, which is de-carbonize the energy supply and make it available to people who have been living on the thin margins of poverty who want to move into a better life for themselves, more like the one we take for granted in the United States. That’s a big challenge in a time of global warming. Dr, Fred Cotrell Sociology professor at Miami University (Oxford,Ohio) wrote a book in 1955 (revised 2008) which showed the relationship between societal development and his utilization of energy. To reapproach the smart era; do we collect, crunch, collaborate, and are there enough of the good olde mechanisms to reinstall on earlier models of automobiles, it’s all about core engineering properties also. No Power is costlier than no power – Dr.H.J.Bhabha. Another important classification is based on the time required to regenerate an energy resource. “Renewable” resources are those that recover their capacity in a time significant by human needs. Examples are hydroelectric power or wind power, when the natural phenomena that are the primary source of energy are ongoing and not depleted by human demands. Non-renewable resources are those that are significantly depleted by human usage and that will not recover their potential significantly during human lifetimes. An example of a non-renewable energy source is coal, which does not form naturally at a rate that would support human use. Fossil fuels make up the bulk of the world’s current primary energy sources. In 2005, 81% of the world’s energy needs was met from fossil sources. The technology and infrastructure already exist for the use of fossil fuels. Liquid fuels derived from petroleum deliver a great deal of usable energy per unit of weight or volume, which is advantageous when compared with lower energy density sources such as a battery. Fossil fuels are currently economical for decentralised energy use. Fossil fuels are non-renewable resources, which will eventually decline in production and become exhausted. While the processes that created fossil fuels are ongoing, fuels are consumed far more quickly than the natural rate of replenishment. Extracting fuels becomes increasingly costly as society consumes the most accessible fuel deposits. Extraction of fossil fuels results in environmental degradation, such as the strip mining and mountaintop removal of coal. Renewable energy is generally defined as energy that comes from resources which are naturally replenished on a human timescale such as sunlight, wind, rain, tides, waves and geothermal heat. Renewable energy replaces conventional fuels in four distinct areas: electricity generation, hot water/space heating, motor fuels, and rural (off-grid)energy services. While many renewable energy projects are large-scale, renewable technologies are also suited to rural and remote areas and developing countries, where energy is often crucial in human development. United Nations’ Secretary-General Ban Ki-moon has said that renewable energy has the ability to lift the poorest nations to new levels of prosperity. Wind ,Solar,Geothermal, Biofuels,Bioenergy,mini and microhydel, Oceanic etc. are Renewable Energy sources. Except nuclear, geothermal and tidal, all other energy sources are from current solar isolation or from fossil remains of plant and animal life that relied upon sunlight. Ultimately, solar energy itself is the result of the Sun’s nuclear fusion. Geothermal power from hot, hardened rock above the magma of the Earth’s core is the result of the decay of radioactive materials present beneath the Earth’s crust, and nuclear fission relies on man-made fission of heavy radioactive elements in the Earth’s crust; in both cases these elements were produced in supernova explosions before the formation of the solar system. Since the beginning of the Industrial Revolution, the question of the future of energy supplies has been of interest. In 1865, William Stanley Jevons published The Coal Question in which he saw that the reserves of coal were being depleted and that oil was an ineffective replacement. In 1914, U.S. Bureau of Mines stated that the total production was 5.7 billion barrels (910,000,000 m3). In 1956, Geophysicist M. King Hubbert deduces that U.S. oil production would peak between 1965 and 1970 and that oil production will peak “within half a century” on the basis of 1956 data. In 1989, predicted peak by Colin Campbell In 2004, OPEC estimated, with substantial investments, it would nearly double oil output by 2025. Between 1950 and 1984, as the Green Revolutiontransformed agriculture around the globe, world grain production increased by 250%. The energy for the Green Revolution was provided by fossil fuels in the form of fertilizers (natural gas), pesticides (oil), and hydrocarbon fueled irrigation. The peaking of world hydrocarbon production (peak oil) may lead to significant changes, and require sustainable methods of production. One vision of a sustainable energy future involves all human structures on the earth’s surface (i.e., buildings, vehicles and roads) doing artificial photosynthesis (using sunlight to split water as a source of hydrogen and absorbing carbon dioxide to make fertilizer) efficiently than plants(Wikipedia). With contemporary space industry’s economic activity and the related private spaceflight, with the manufacturing industries, that go into Earth’s orbit or beyond, delivering them to those regions will require further energy development. Researchers have contemplated space-based solar power for collecting solar power for use on Earth. Space-based solar power has been in research since the early 1970s. Space-based solar power would require construction of collector structures in space. The advantage over ground-based solar power is higher intensity of light, and no weather to interrupt power collection.